This is the reason why we have taken and will keep on taking part in many food and beverage fairs around the world. 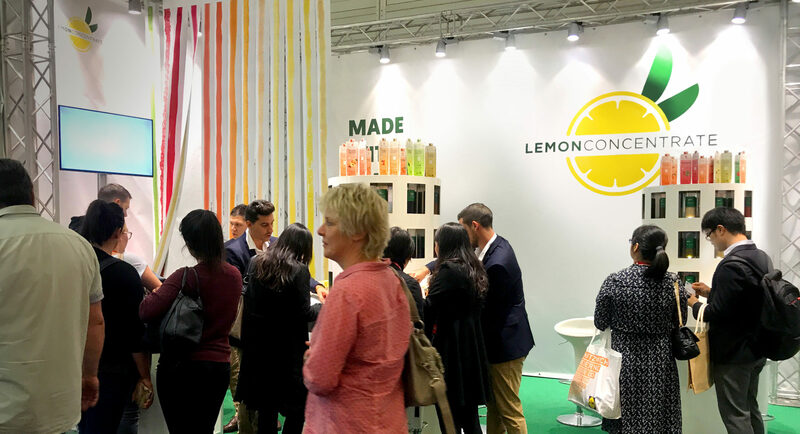 The food and beverage fairs enable us to promote ourselves as wholesalers and suppliers of fruit concentrates, NFC juices, essential oils, fruit and vegetable purees, pulp cells, juice concentrates and fruit powders. Our high-quality raw materials attract the biggest producers of juices, dairy products, marmalades, syrups, soups and creams, fruit bases, ready-to-eat meals, flavoured waters, candy, and soft drinks. If you want to meet us and learn more about our products, please visit us in any of the fairs we have listed below; it would be a pleasure meeting you! Food Africa – Cairo 2016. – The gateway to the African market. SIAL China 2016 – Inspire food business. Thaifex 2016 – World of food in Asia. Alimentec Colombia 2016 – Your hub to Latin America. World Food Istanbul 2016 – The international food and drink exhibition. Fine Food Australia 2016 – The largest fair in the whole hemisphere. Annapoorna 2016 – Taste the success. Anufood Beijing 2016 – Taste the Globe. Oman food fair 2016 – Food and Hospitality.